A type of cosmetic eyelid surgery where the eyes are reshaped to create a crease for patients with mono-eyelids or to increase a patient’s original fold on the upper eyelid, or even to correct assymetrical folds. An injectable material used in small doses by doctors to lessen muscle activity and block certain nerves to reduce facial wrinkles. It is made from a toxin produced by bacteria called clostridium botulinum. This is a procedure that tightens the outer corner of the eyelid called the lateral canthal tendon by using a supportive suture to reinforce the eyelid’s position. A procedure that reforms and reshapes the outer corner of the eyelid or the lateral canthal tendon thereby tightening the lower eyelid. This procedure is done on the inside of the eyelid so that there is no scarring. Also called a mid-face lift. A surgical procedure that softens nasolabial folds, lifts droopy cheek tissue, repositions it back over the cheekbone and lifts the outer portion of the eyebrows thus restoring the youthful contour and fullness of the cheeks. Dark blemishes that appear under the eyes that are caused by genetics, allergies, poor diet and some diseases. The deep plane facelift is an advanced surgical technique that involves dissecting the muscular and soft tissue layer just below the skin called the SMAS and tightens and lifts the underlying muscle while repositioning the fat to restore a more youthful appearance to the face. Lower eyelids that have dropped down to a level where excess white component of the eyes (sclera) is shown. May cause reduced function of the eyelids such as inability to close them fully during sleep, and excessive dirt and grit irritating the eyes. This can be a result of naturally occurring medical problem (scleral show) or from previously performed eyelid surgery where excess eyelid skin was removed, or a cosmetic procedure where eyelids were re-attached to soft tissue such as skin, rather than a solid structure like the lateral canthal tendon. This is caused by fat surrounding the eyes that have pushed forward and creates a bulge under the eyes. A surgical procedure known medically as blepharoplasty. A procedure used to eliminate or reduce the appearance of bags (and loose skin only when necessary)under the eyes that are caused by herniated fat deposits in the lower eyelids. Eye bag surgery consistently ranks as one of the most commonly performed cosmetic surgeries. A cosmetic procedure where excess tissue such as skin and fat are removed or repositioned and surrounding muscles and tendons are reinforced to get rid of creepy eye skin, dropping eyelids, puffy bags and dark under eye circles. A cosmetic surgery procedure that involves tightening and anchoring sagging skin and underlying tissues to lessen the appearance of wrinkles, volume loss, and facial folds, and drooping skin. Medically referred to as rhytidectomy. The use of one’s own fat tissue usually from the hips, thighs or buttocks and is injected to various parts of the body to give back volume where it has been lost. 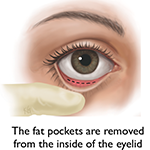 Fat transfers are not recommended in the eye area due to sensitivity and complications. Naturally occuring fat present in the upper and lower eye area. Commonly refers to herniated fat that has pushed forward creating a bulge on the lower eyelid. This technology uses a microscopic laser beam that is filtered through CO2 and isolates specific wavelengths which punctures into the skin. It removes skin layers by vaporization which is helpful in the treatment of scars and wrinkles, smoothed skin surface and promotes microcirculation and new cell genesis resulting in firmer and glowing skin. Materials that are injected underneath the skin in areas of decreased volume that show in the face over time. They are used to correct a variety of cosmetic concerns such fine lines, wrinkles and hollow under eyes. 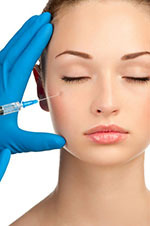 Common brands of fillers include Restylane and Juvederm. An immune system disorder or an autoimmune disease caused by the overproduction of thyroid hormones resulting in an enlarged thyroid. One of its symptoms is the bulging of the eyes, also known as exopthalmos. A condition of the lower eyelid where it has sunk due to loss of volume of fat in the area. This acid has the ability to penetrate the skin to keep it soft and restore its elasticity, thereby combating signs of aging such as wrinkles. It also helps in wound healing, tissue reconstruction and protects the skin from UV irradiation. 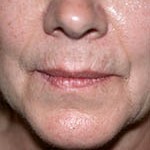 This is the sagging of loose or thick skin in the lower face. This is due to the effect of aging and gravity that has weakened the underlying muscles that support the facial structures. An injectable filler approved by the FDA for the treatment of facial creases, wrinkles and deep folds in the faces of patients. It can also be used in the lips and even to fill hollows and scars in the face. 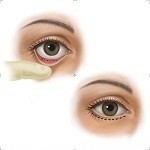 The tendon that attaches the eyelid to the orbital rim. It is an extension of the orbicularis muscle that attaches to the overlying bone. It is one of the supporting structures in the eye. The long, vertical lines from the corners of the mouth that extend to the chin. 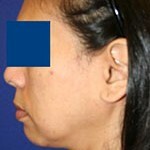 These become deeper from the cheekbone fat descending because of age and gravity. 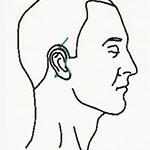 Also called “smile lines”, these are a groove or crease from the nose to the corner of the mouth because the fat and soft tissue slide down due to gravity. Also called platysmaplasty and is a set of procedures to enhance the appearance of the neck by tightening and lifting the skin and muscles thus removing thick bands that resembles a turkey’s neck. Ophthalmologists who have pursued additional training in the areas of the eyes, face and orbital area. They also deal with reconstruction of the face, improvement of the appearance of the eyes and even diagnose tumors of the eyelids, the orbit and other structures. 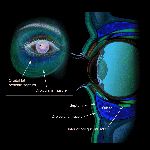 Refers to surgery that involves the face, the eyes and the orbital area. A procedure that increases the available room of the entire eye by removing some of the bony walls of the eye sockets, some of the orbital fatty tissue, or the combination of both to decrease the pressure within the eye socket. A non-surgical radio frequency technology where the skin is heated at the level of the dermis similar to a CO2 laser. Like a CO2 laser, the skin generates collagen to help improve the quality of the wrinkles. 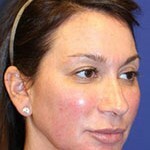 Unlike the CO2 laser, Pelleve does not penetrate the skin so there is no sign of scarring. Platelet-rich Fibrin Matrix is a concentrated source of platelets from the patient’s own blood that contains a lot of growth factors and leukocyte cytokines and used by surgeons for soft and hard tissue healing. It is a second generation concentrated source of platelets from an autologous origin. It is easier to prepare compared to Platelet-rich plasma and lacks biochemical modification (no bovine thrombin or anticoagulant was used). A condition where the upper eyelid droops or sags due to weakness of the levator muscle, nerve damage, or looseness of the skin. 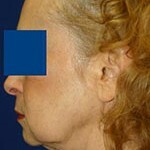 A facelift procedure that has a short recovery period best suited for busy patients. An injectable filler that stimulates the body’s natural collagen formation thereby restoring volume to the face. It is used to treat deep wrinkles and hollowing or sagging of the cheeks. An injectable filler composed of hyaluronic acid used to enhance the lips, diminish wrinkles and reduce the appearance of nasolabial folds. It also used for filling the hollowing of the eyes and adding the volume and contour of the cheek, chin, foreheadand nose. Also called the mini facelift, it is a modified facelift procedure that lifts the neck, jowls and lower two-thirds of the face to soften nasolabial folds and restore definition to the cheeks and jaw line. It tightens muscles and skin of the cheeks, chin and neck. This stands for superficial muscular aponeurotic system which is the area of muscles of the face that are enhanced during facial surgeries. A facelift surgery that involves the muscular system of the face to reduce the appearance of jowls, cheeks and neck skin. This is a deep layer facelift surgery that takes into consideration the facial anatomy of the patient. Synthetic implants that are not placed on the cheekbones for patients who have high cheekbones and have lost soft tissue on the lower cheek area. It enhances deep melolabial folds and is used in a safe and simple technique by the surgeon. A hollow area of shadowing at the top the cheekbone that meets the under eye. An inflammation and engorgement of the soft tissues such as the fat and muscles surrounding the eyes. This causes the eyes to be pushed forward and occurs in association with an overactive or underactive thyroid gland. A cosmetic eyelid surgery procedure that removes, sculpts and reduces eyebags caused by bulging fat deposits in the lower eyelids. This procedure is internal, producing no outside scars and preserves the natural shape of the eyes. 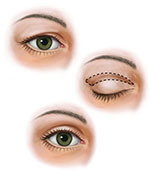 A cosmetic eyelid surgery procedure that involves trimming, re-positioning and release of eyelid structures for patients who have excess skin and muscle to be removed. It leaves a scar below the eyelashes. 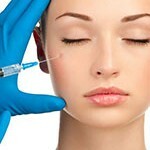 This is a non-surgical procedure using a gel-like substance composed of natural growth factors of the patients own blood and is injected into areas of the face to reduce wrinkles and rejuvenate the skin combined with hyaluronic acid in a specific way to improve the volume and texture of the skin in the eye and cheek areas. The Vampire Facial is based on the use of platelet rich plasma derived from blood drawn at the time of the procedure which is applied to the face using a delivery technique with micro-needling such as Dermapen. The folding or creasing of the skin caused by the natural aging process and/or the loss of body mass. Aging skin cells begins to thin and loose elasticity and structure. It also looses the ability to keep moisture, thus contributing to wrinkling. It can be worsened by too much exposure to the sun, poor hydration, facial expressions and other factors. As people get older, there is loss of volume in the face consisting of bone, muscle and fat as well as loosening of skin and the support tissue called the SMAS (superficial musculoaponeurotic system). 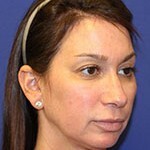 This is any procedure that help restore a youthful appearance of the face. These are vertical lines that appear on the forehead when a person frowns. This is caused by the contraction of the corrugator and procerus muscles. Is an acronym for Local, Intravenous, Tumescent/Twilight with Ease of recovery created by Dr. Amiya Prasad. This involves safe sedation as well as the use of a brain monitor that helps patients recover quickly. 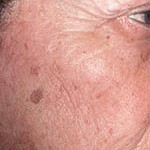 A procedure that uses tiny aluminum oxide crystals that are sprayed onto the skin and are immediately sucked up along with dead skin cells to produce smooth skin and remove some scars, moles or fine wrinkles. These are disorders that affect the nerves that control the function of voluntary muscles. Is a neurotoxin produced by a bacteria called clostridium botulinum. It is used in milder forms to treat wrinkles and other various cosmetic procedures. Also called facelift, is a type of cosmetic surgical procedures to remove wrinkles and fine lines by tightening muscles and removing skin to achieve a youthful appearance. Is the use of the patient’s own blood which is concentrated to extract platelets and fibrin matrix. This is applied to the area of the face or body to stimulate cell proliferation which promotes the increase of volume and rejuvenation of skin through a process of targeted tissue re-generation. Material made from urinary bladder that stimulates the healing process and tissue growth when injected to the area of the human body. It also stimulates formation of new blood vessels to repair scar tissue.This tissue is derived from a pig however, the processing removes all material which is specific to the pig. The material can be used in humans without any allery testing. The material is not considered in violation of any religious laws against the consumption of pig derived meat. A type of tanning technique that uses an airbrush. An alternative to outdoor sun tanning and UV tanning beds. A surgical procedure that lifts, raises and reshapes sagging breasts due to weight loss, aging, lactation and gravity. Also known reduction mammaplasty or mammoplasty, is a surgical procedure that removes excess breast fat and skin to reduce that size of large breasts so they are more proportionate to the body size. A surgical procedure that uses breast implants to reconstruct or correct the form and size of the breasts. A skin therapy system that uses sterile needles which pierce the skin at adjustable depths to treat wrinkles, acne and scars. A surgical procedure to create dimples on a person cheeks. A surgical procedure that reshapes, corrects and reconstructs the outer ear due to deformity, congenital issues and trauma. A surgical procedure that moves hair follicles from the donor site to the eyebrows or eyelash. Facial Liposuction is a surgical cosmetic procedure that removes excess fat from the face and neck through a vacuum technique to achieve a younger looking, sculpted face. A surgical procedure to correct defects of the face that were caused by congenital conditions, trauma, aging and disease. Also known as alopecia. A condition where there is loss of hair in any part of the body caused by genetics, disease, childbirth or intake of substances. A surgical procedure that moves hair follicles from a donor site to the site of balding. Set of treatments to achieve younger-looking hands. A hair removal technique that uses different types of lasers. A cosmetic procedure that removes fat from the body. Cool Lipo is a laser assisted fat melting device used in conjunction with suction assisted fat removal. A type of skin resurfacing that is a non-invasive, non-surgical exfoliation of the skin. It removes dead skin cells that stimulates cellular renewal at the dermis and epidermis thereby improving complexion, texture and appearance of the skin. A surgical procedure to reduce the size of male breasts typically involving liposuction techniques as well as open surgery. A term used to describe a combination of cosmetic procedures that helps restores as close as possible, the pre-pregnancy state of the body. Commonly referred to as a nose job. A cosmetic plastic surgery procedure that corrects, reshapes, resizes and reconstructs the nose. A dermal filler that is injected to areas of volume loss that is caused by age, gravity and disease to achieve a younger and fuller look. The material stimulates a collagen response which improves the appearance of areas of volume loss.